New Website for Paka Adventures! 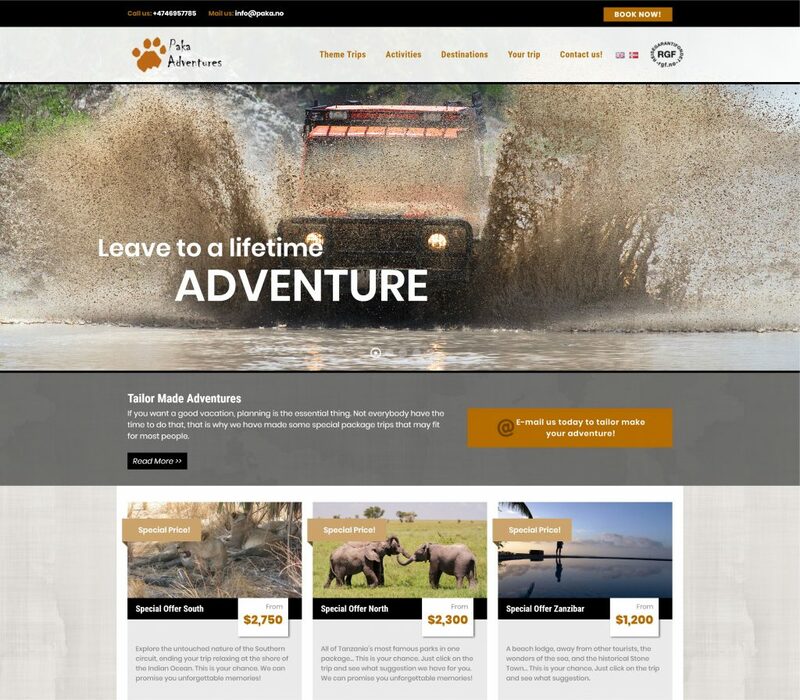 In partnership with TamagoLab studio our team realized the brand-new website of Paka Adventures. Paka is a norwegian travel agency specialized in organizing amazing tours in Africa, particularly in Tanzania. Thanks to this new collaboration we can proudly announce tha Paka Adventures is now on-line! 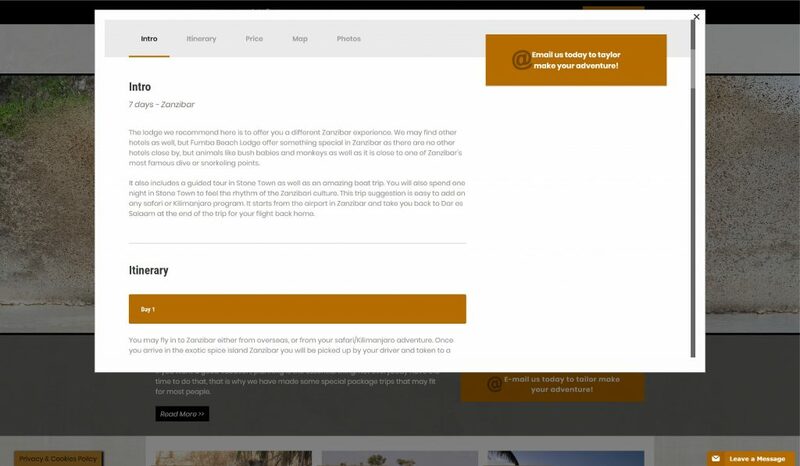 The new homepage has a very clear structure, composed by a box grid that is intended to show all agency services: special offers travel packages, theme trips and so on. This categorization is the same you can find in the top navigation menu which allows to search for your ideal trip selecting different parameters as destination, kind of activity (diving, golf,etc.) or experience (honey moon, cultural trips, etc.). Many call to action invite the user to contact the agency and there is a live chat to constantly keep in touch. All communication is traslated in both english and norwegian. Every package has a dedicated page with a complete resume of the trip with the planned day by day itinerary that you can see also on a map, prices for each activity and overnight stay and other details about the best period/season and such practical details. There is also an image gallery that shows other travelers exeperiences. 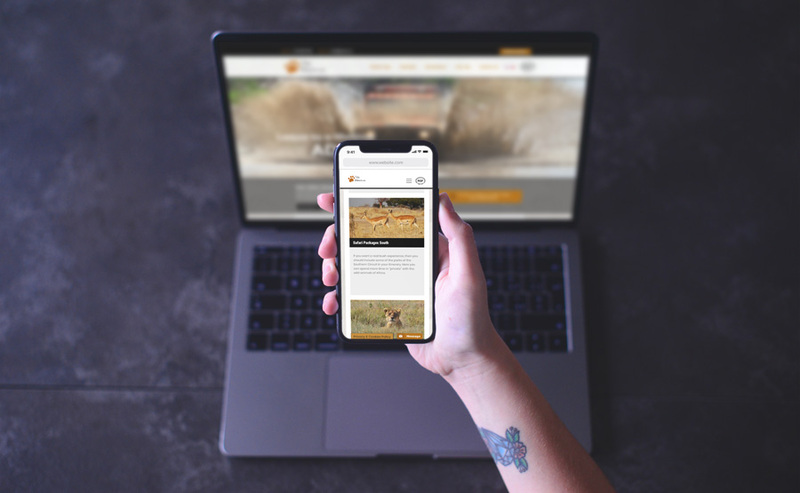 As always in order to simplify the user experience we always pay attention to responsivness to grant to all visitors the best navigation time possible either from laptop, tablet and all mobile devices. We hope to continue this great partnership with TamagoLab and create many other successfull projects together! This entry was posted in Latest News and tagged cms, new website, travel agency, wordpress. Bookmark the permalink.